The Elon Phoenix scored three runs in the seventh inning, overcoming a two-run Liberty advantage for a 4-3 victory, Wednesday afternoon at Latham Park. Trailing 3-1 in the bottom of the seventh, the first three Elon batters reached as the Phoenix tied the contest at 3-3. Third baseman Cam Devanney followed with his second home run of the year to give Elon a 4-3 lead. Liberty falls to 6-2 on the season and drops its first road game of the season. Elon improves to 3-6, capping a nine-game homestand to open 2018. After two scoreless innings, Elon staked itself to a 1-0 lead in the third. With one out, first baseman Shawn Blake and center fielder Zach Evers drew back-to-back walks. Catcher Matt Oldham followed with a RBI single to left to give the host Phoenix a one-run edge. However, Liberty right-hander Zack Brockman induced a ground ball double play to end the threat and the inning. The Flames used three straight singles to plate two runs in the top of the fifth. Third baseman Tyler Galazin walked with one out and moved to second on a single by right fielder Brandon Rohrer. After a passed ball allowed both runners to advance into scoring position, shortstop Cam Locklear lined a single into right field, scoring Galazin and knotting the contest at 1-1. Center fielder D.J. Artis followed with an infield single to plate Rohrer for a 2-1 advantage. Liberty added to its advantage in the seventh. Pinch hitter Andrew Yacyk walked to open the inning. Galazin followed with a single, moving pinch runner Brady Heid to third. Heid then extended the Flames’ edge to two at 3-1, coming in to score when Rohrer grounded into a double play. In the bottom of the inning, Elon answered with three runs to take a 4-3 lead. Center fielder Zach Evers began the home half of the seventh with a single and Oldam walked. Ogren followed with a run-scoring single to cut the Flames’ edge to 3-2. A fielder’s choice grounder by designated hitter Hayden Platt pushed across Oldam, tying the contest at 3-3. After pinch runner Tyler Stanley was picked off by Liberty reliever Zack Clinton for the second out of the frame, Devanney homered over the left field wall to give the Phoenix a 4-3 lead. In the ninth, Liberty moved the tying run to second base with two outs. Left fielder Tre Todd singled with one out and advanced to second on a ground out by pinch hitter E.P. Resse. Elon reliever Brandon Justice then got Galazin to ground out to third base to seal the Phoenix victory. Clinton falls to 1-2 on the year. The fifth Liberty pitcher of the contest, the right-hander gave up three runs on three hits over the final two innings. He struck out two and walked one. 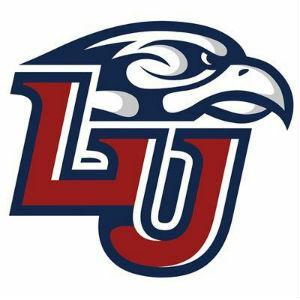 Liberty pitchers combined to walk 10 batters in the contest. It is the first time since a 10-7 win at William & Mary on April 27, 2016 that the Flames have walked 10 or more in a game. Phoenix reliever Dean McCarthy evens his record at 1-1 on the season. McCarthy allowed one run on one hit over 1 1/3 innings. He struck out one and walked two. Justice did not give up a run over the final 1 2/3 innings to record his first save of the year. Each team collected six hits in the contest.